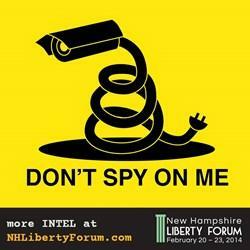 Hosted by the Free State Project, a movement that has attracted over 20,000 liberty activists to the state of New Hampshire for the purpose of building a freedom loving society, Liberty Forum is New Hampshire's premier liberty­ oriented conference. Over the past ten years, the conference has developed a reputation for attracting distinguished speakers from across the globe to discuss pro­-freedom topics. This year's keynote is being led the founder of the first Pirate Party: Rick Falkvinge. Liberty Forum provides attendees the opportunity to discover New Hampshire and find out what its like to move to a place where there are other like-minded people. It also provides a taste of the many benefits of socializing, networking, and working with a dedicated group of activists. Attending Liberty Forum is oftentimes the "clincher" to becoming an FSP participant. In March of 2016 we took on the challenge and moved our main offices to Keene, New Hampshire. For those who moved with us it ended up being a great decision. This years event will be held Feb 2nd - 4th, 2017 at the Radisson Hotel in Manchester, NH. Stop by our table and check out some of the technology that'll help enable you to protect more of your privacy, freedom, and security. Register for Liberty Forum 2017 now!. Join us in Raleigh and The Research Triangle, the epicenter of innovation, technology and free software, and home to one of the most sophisticated audiences on earth. We'll have a table at All Things Open. Come check out our product catalog and take home a free Tux while you are at it. 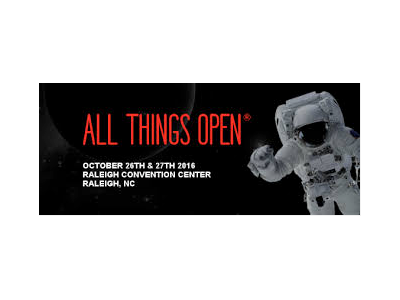 The event is being held October 26 - 27 in Raleigh, NC. For more information check out the All Things Open web site. 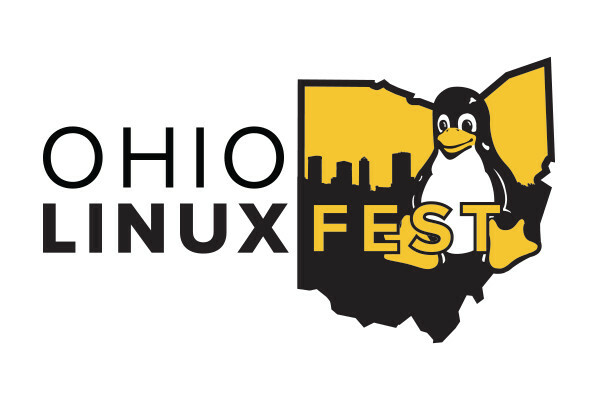 Ohio [GNU]LinuxFest 2016 will take place on October 7 and 8th at the Hyatt Regency in Columbus, Ohio. Join us on Saturday in the expo hall. Visit the Ohio [GNU]/Linux web site for more information. 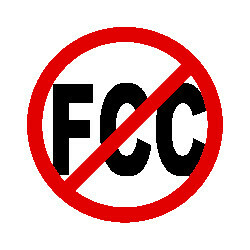 The FCC has attacked TP-Link's non-compliance with new FCC rules despite being mostly in compliance via a total lock down. This has caused the lock down situation to go from bad to worse. While this is being sold in the media as FCC doing good by forcing companies to cooperate with the open source community it's actually undermining the communities values and ability to get a complete set of source code upstream for *any* modern devices. It's not acceptable that we should have to lock down the main firmwares, but it's worse to ask manufacturers to lock down specific wifi firmwares only. "the Commission required . . . device software that controls the RF parameters that ensure compliance with the Commission’s technical rules for preventing harmful interference must be secured. The purpose . . . is to prevent modifications to the software that could, for example, . . . enable tuning to unauthorized frequencies, increased power above authorized levels, etc. The rule is not intended to prevent or inhibit modification of any other software or firmware in the device, such as software modifications to improve performance, configure RF networks or improve cybersecurity.”. As a result of the FCC settlement TP-Link will not lock the entire device (on at least some routers), but critical components instead. This is dangerous because it will prevent us from gaining access to the complete set of source code needed to add functionality (like proper mesh networking support), fix bugs, and ensure that devices are not compromised or bugged by national security agencies. Prior to this users with sufficient technical knowledge could at least technically unlock most wireless routers provided they had the right tools. If users can build the source code for these select wifi firmware components themselves the companies that lock down just the wifi firmware will no longer be in compliance. Before a user would have to go to greater lengths to unlock the router first, but it probably wouldn't jeopardize things as it would theoretically be a user taking extreme measures (even now you can through modification cause a router to go out of compliance). If the release of code will jeopardize companies compliance with FCC rules the companies designing these chipsets will not be able to release said code. Period. Even if we ship a router that is locked such that there is no simple way to update the firmware no company designing chipsets will release the code for key wifi firmware components as it would risk putting there other customers products into non-compliant states. 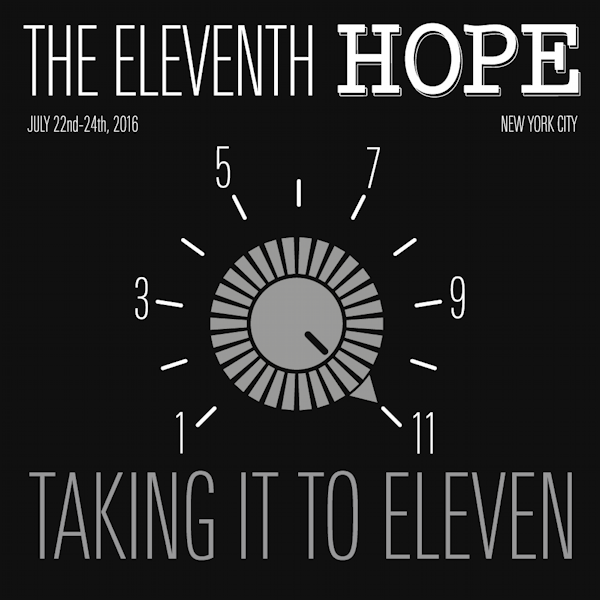 HOPE 11 will take place on July 22, 23, and 24th, 2016 at Hotel Pennsylvania in New York City. H.O.P.E. stands for Hackers On Planet Earth, one of the most creative and diverse hacker events in the world. It's been happening since 1994. We will also have a special guest with us @ the ThinkPenguin table. Luke Leighton, the lead developer of the EOMA68 standard, and a completely Libre laptop and desktop housing design, and the Libre Tea Computer Card. These components make up the first 100% free software modular computers. Not even the keyboard controller, bootloader, or CPU require any proprietary bits. We will have with us an earlier 3D printed prototype of the laptop housing, desktop housing, and Computer Card. Question: Has Your Computer Got a Backdoor? In 2009 and 2013, two US companies (Intel and AMD) introduced malicious functionality into their processors. These processors are used in every mainstream desktop and laptop computer. On Intel systems, this functionality is in the Intel Management Engine Firmware. What is the Intel Management Engine more specifically? The Intel Management Engine consists of an independent CPU that runs a proprietary piece of software. This software is responsible for a variety of system functionality such as power management. Some of the functions are important to the workings of the machine. Other functionality is not. The problem is that Intel and AMD have been uncooperative in releasing the complete set of corresponding source code to this component. This means that NO ONE can check the integrity of the software running on it, and manufacturers are prevented from designing truly secure computers. 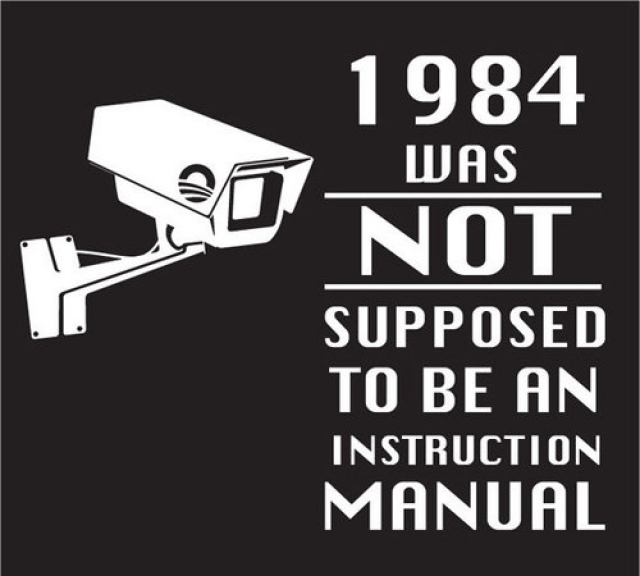 As a result, EVERY SYSTEM IS COMPROMISED out of the box. This is extremely dangerous. We know that this software contains remote access functionality and could be utilized by governments and criminal groups to gain unauthorized access to any machine they like. Thanks to gag orders and other financial incentives, these companies cannot tell us about such backdoors even if they wanted to. They have to say, and have been saying 'no such backdoors exist'. They are under threat of imprisonment if they do not comply. The remote access features of Intel and AMD's CPUs are billed as a feature for system administrators. In reality, these features are nothing less than backdoors hidden in plain sight that we cannot disable, remove, or even examine for security reasons. Additionally, even if we somehow could determine that there is not a backdoor, there is still a threat posed by the proprietary nature of the code. Currently, it is impossible to do a proper security audit of any mainstream computer. Any security vulnerabilities that are found by other nation states or criminals can be exploited without the knowledge of the public. If we had the sources and a proper security audit could be performed, we would at least have a chance of locating these vulnerabilities and fixing them. However, Intel and AMD not only prevent us from easily working out what is on the backdoor processor, but we could not put our own reverse-engineered code on it because of the secret keys. We have already observed numerous backdoors, exploits, and other malware shipped in routers, phones, computers, and other devices. These backdoors have been inserted into proprietary components. To overcome this GLOBAL SECURITY CRISIS, we need a new standard that allows us to build devices off of CPUs and other chipsets where we have the complete set of corresponding source code, thereby handing back control to users. This has been extremely difficult because of the way computers and other technologies are traditionally designed and developed. With so much unwanted stuff being integrated into key components, it has been challenging to come up with the components necessary to build laptop and desktop computers without hardware backdoors. Think Penguin has been sponsoring development of the EOMA68 Computing Standard in view of the urgent need for a long-term solution. EOMA68 is a modular Creative-Commons-licensed standard that enables us to easily adapt computer designs when companies designing key components become hostile to free software. For example, with EOMA68, if one company refuses to release source code, the design allows for easily switching to a different CPU. Prior to the EOMA68 Computing Standard, it was extremely expensive to switch from one line of CPUs to another (and often the whole design would need to be scrapped). What is an EOMA68 Standard Computer Card? The EOMA68 standard is being used to make tiny computers that fit in the palm of your hand. Using the legacy PCMCIA of the 90s, it can be slipped into your wallet. Just like memory cards, EOMA68 Computer Cards can be easily plugged into many kinds of devices. However, EOMA68 Computer Cards are the CORE of the computer. They contain the core components like CPU, RAM, video output connectors, USB ports, and similar. You simply plug in your own screen, keyboard or mouse. The inaugural line of EOMA68 computing devices is now being offered to the public through Crowd Supply (HERE), a crowd-funding website that has been particularly supportive of innovative high tech products. The beauty of a Computer Card is that one card gives you multiple options. Stick it into the Micro Desktop Housing, and you have a desktop unit that you can connect to your monitor, keyboard and mouse. Remove it from the Micro Desktop Housing (easily done in SECONDS) and pop it into the 3D Printed Laptop Housing...and presto! You now have a laptop! The 3D Printed Laptop Housing contains a screen, keyboard and touchpad. In the future, the same EOMA68 Computer Card could be inserted into other products being developed including Tablet Housing, Router Housing or similar. EOMA68 not only allows for maximum flexibility, but also simple upgrades. Want to upgrade the processor? Just pop in a new Computer Card for around US$65. Done! One of the first Computer Cards being offered is called the Libre Tea Computer Card because it is not dependent on any proprietary bits for core functionality. This gives it the potential to be used in a secure, freedom-friendly computer design. In addition, neither the desktop nor laptop housing are dependent on any proprietary software. And as the name implies, you can make new parts for the 3D Printed Laptop Housing if you accidentally crack a corner or just want to swap colors. In 2009 and 2013 respectively US companies Intel and AMD began inserting malicious code into their CPUs. On Intel processors this code was inserted into the Intel Management Engine Firmware. This allowed for a malicious program to be run on a low power secondary processor independent of the main CPU. One of the malicious features added was advertised as allowing remote access to the machine. On the surface it seemed to be for the purpose of hiding a backdoor in plain sight. While convenient for administering systems this proprietary component posed a significant security threat. Such functionality has been around at the OS level for a very long time. The big difference was it could be added or removed at the users whim and you didn't have to trust the CPU to honor your requests. Unfortunately this functionality has been rolled out in such a way that it can not be properly audited, disabled, or removed. Because Intel has refused to release the source code to this component and has signed the code we have an incomplete picture of this malicious software that runs on nearly all modern computing devices. Thanks to revelations about other privacy invasive malicious activities by the US government particularly in relation to gag orders it would be inconceivable that a backdoor has not been installed in every CPU designed by US companies. We know similar functionality exists in both Intel and AMD CPUs too. This basically means every modern desktop and laptop computer on the market. This has been a known and somewhat hidden issue for quite some time. Unfortunately developing a CPU is no simple matter. What these features demonstrate is the critical importance of having a complete set of source available for every component. To that end we've been working. To date we have the sources for many critical components including wireless and with the development of a new line-up of ARM based hardware we can add CPUs to that list. However having a prototype is not the same thing as being able to get backdoor-free hardware. For that there must be sufficient demand and resources to initiate manufacturing. For that we need your help. To get involved check out our Crowd Funding Campaign. This year, the theme of LibrePlanet is "Fork the System." Organized around the theme "Fork the System", the conference's sessions will examine how free software creates the opportunity of a new path for its users, allows developers to fight the restrictions of a system dominated by proprietary software by creating free replacements, and is the foundation of a philosophy of freedom, sharing, and change.We hope to see you at LibrePlanet 2015, March 21-22 in Cambridge, MA. 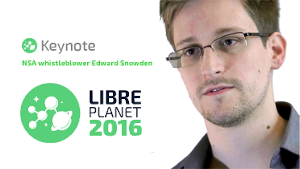 Register now to join us at MIT Cambridge, Massachusetts for LibrePlanet 2016 March 19-20! Hosted by the Free State Project, a movement to attract 20,000 liberty activists to one state, Liberty Forum is New Hampshire's premier liberty­ oriented conference. Over the past nine years, the conference has developed a reputation for attracting distinguished speakers from across the globe to discuss pro­-freedom topics. This year's keynote is Edward Snowden. The event will be held Feb 18th - 21st, 2016 at the Radisson Hotel in Manchester, NH. Stop by our table and check out some of the technology that'll help enable you to protect more of your privacy, freedom, and civil rights online. Register for Liberty Forum 2016 now!. “We have lost committed general funding from companies explicitly because of our enforcement work. Continuing this work without individual support is no longer possible,” the SFC blogged. The Conservancy threw its financial backing behind Linux kernel maintainer Christopher Hellwig’s suit against VMware in March.